Done with Foscam, bring on Yi Home Wireless Cams! After my last round of Foscam IP cams died on me, I decided enough was enough. 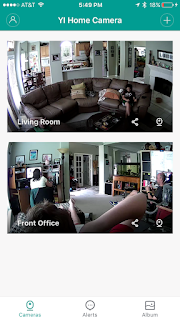 After some guiena pig efforts of a coworker, I decided to jump in myself and shift all my IP cams (all 2 of them) to Yi home cameras. First, it seemed at least once every 6 months or so I was having to replace one of the Foscams. Surely I should be getting better quality out of these devices. Either they'd stop connecting to the network, the power supplies would die, or the image sensors seemed to get washed out. Only time will tell if the Yi cams hold up any better. I have to think they can't be any worse. No rotation. 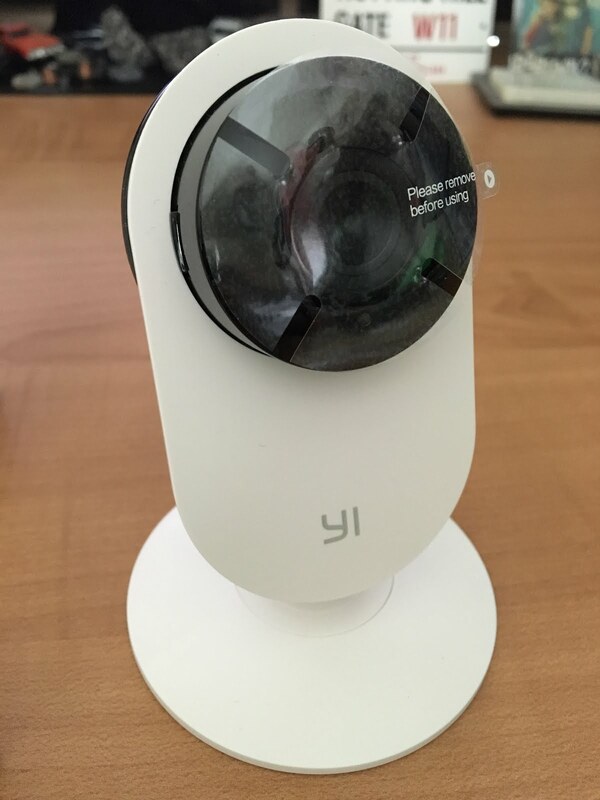 The Yi cam is fixed in position. 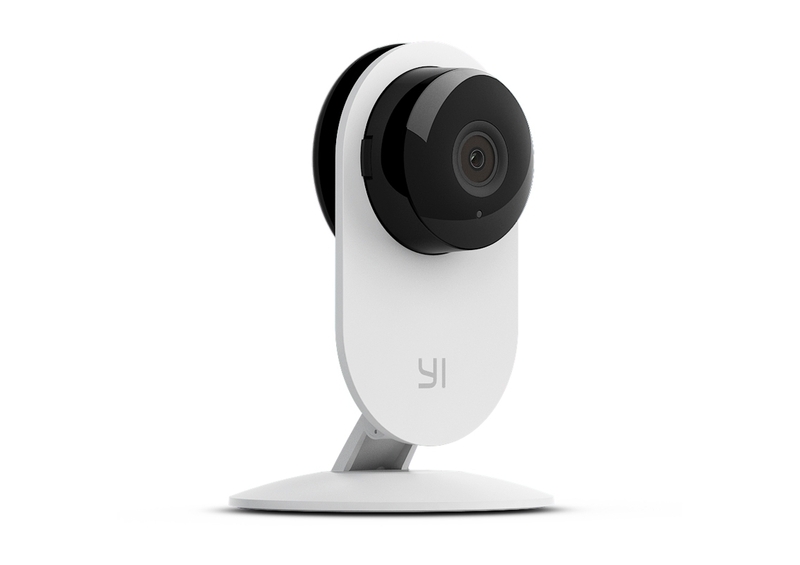 No viewing of cam outside of the Yi Home app. I think both of these are either compensated for or really not a big issue. 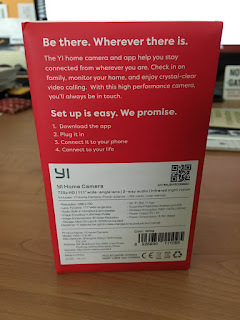 the Yi cam has a 111 deg view range, which, in my case, will cover most of the area that I would be rotating to view anyway. And most of the time, when I tried to rotate the Foscams over the cell network, it would receive the 'move' command, but miss the 'stop'. Usually leaving me staring at a wall or back of a bookshelf. 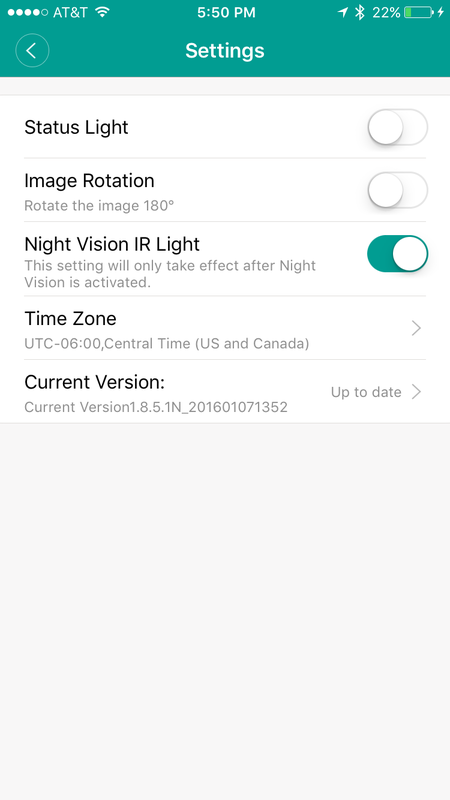 As for no viewing of cams outside of their app. They have a very good app that does most everything I need it to do. Fact is I was probably using my phone to view the cams 99% of the time anyway. I consider myself a fairly tech savvy guy. But setting up these Foscams is a complete PIA. Having to dig out a network cable, bump a laptop over to it's own IP address so that I can connect to the Foscam, then proceed to fumble around in the configuration until things look right. Usually only to disconnect, reset IPs, and find that it wasn't setup right so I'd have to jump back in and do it all over again. 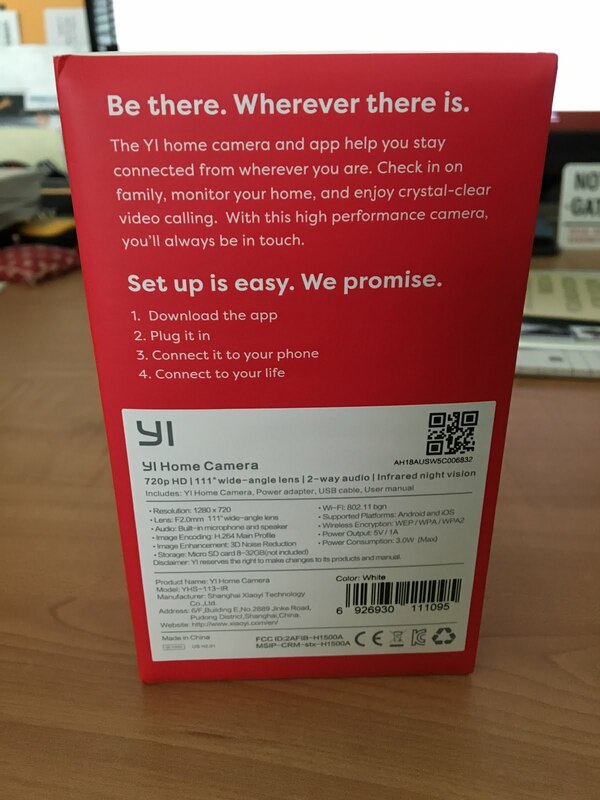 By contrast, the Yi cam says the following on the box. I can only hope it's this easy. 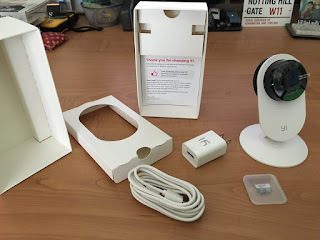 Opening the box, it's very 'Apple-esque' in it's packaging. I was surprised to find that my $50 cam came with a 32GB Sandisk microSD card. Starting to look like a really good value now. Looking back, I think it may have been a mistake and my dumb luck. The SD included version is $70. 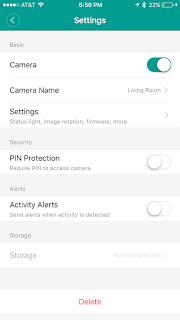 The SD card is inserted into the cam and automatically captures any motion triggered video which can very easily be scrolled back to for any given cam from within the app. The cam and base build is very nice. Plastic, but solid. The base is well weighted and has a nice 'tacky' rubber base. Much better than I expected. 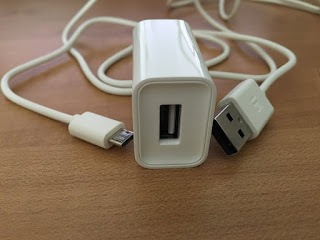 Power is via a standard USB 1A power adapter with a micro USB connection. Score one for easily replaceable parts. I downloaded the Yi Home app to my iPhone, and setup an account. Plugged in my camera to a power source. 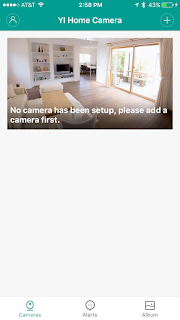 The camera says, yes with voice, welcome and that it's connecting. Then touched the + symbol to add a camera. 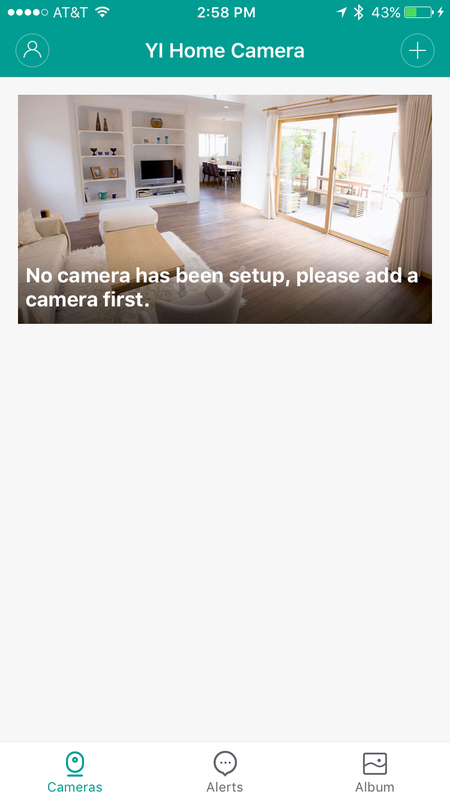 Once the camera says 'waiting to connect' I continue on the app. 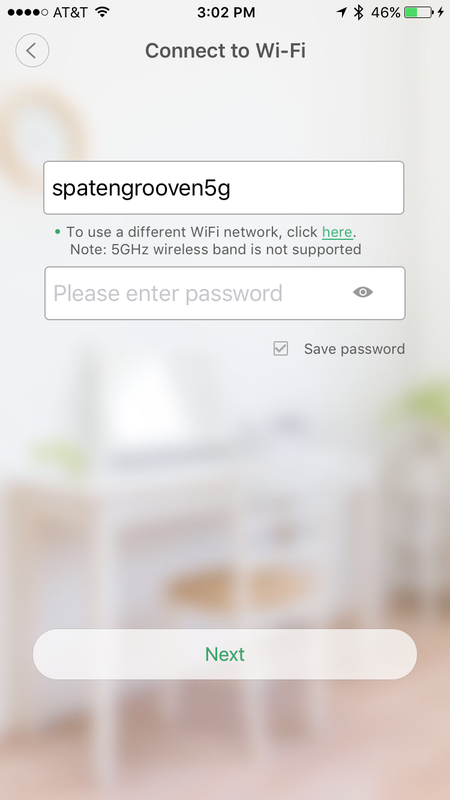 The app then identifies the WiFinetwork it's currently on, and asks you to enter the passcode for it. 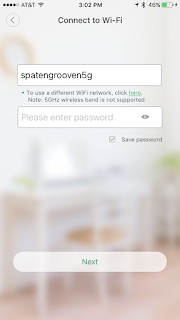 It then generates a visual QR code that the cam will read to program itself for connecting to your wifi network. You show this to the camera, and wait for it to configure itself. Unfortunately I had some trouble getting the camera to 'see' my phone and the QR code. Tried with both cams and still had trouble. Did a firmware update with my pc (still easier than shifting networks). This went on for way too long. I was approaching rage quit levels of frustration. 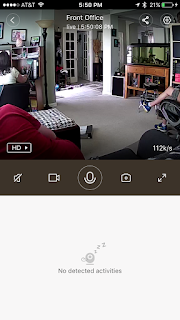 On a whim, I decided to put the wrong information into the WiFi password "123"; to determine if the camera was reading the QR but maybe was having some trouble connecting to the network. 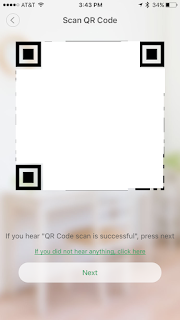 With the shorter password embedded into the QR code, the camera read it right away. I didn't test to find out what the limit is; but apparently a very long WiFi password is rejected by the camera, so it just doesn't accept the QR code with it. To be clear, I am using WPA2-Personal with a 62 character password (63 is the limit for WPA2. I ended up solving this by setting up a special 'guest' SSID just for my cameras with a shorter password, and MAC filtered. Once I got past this pain point, everything worked just as easily as expected. The cameras jumped onto the WiFi network, and the app paired those cameras into my account so they'll show up on my app. One drawback is that this multi cam view is only a past static shot, and not live feed. Not a huge deal. 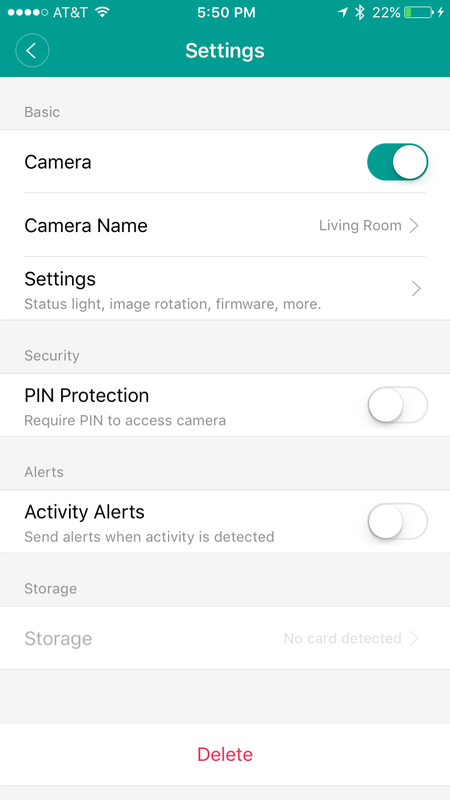 The app will let you rename the cameras, and change settings like turning the LED indicator off, enabling motion alert notifications/logging. 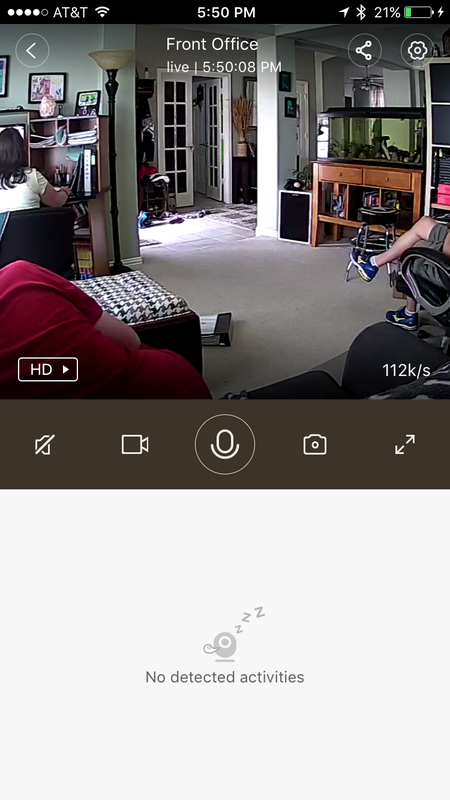 When viewing a camera feed, you can expand it to full landscape mode (720p). You can listen in via the mic, or talk through the speaker on the cam itself. 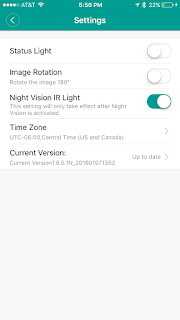 In landscape mode, if you have an SD card installed, you'll see a scrollable time line on the bottom showing any recorded activity. You simply scroll back to that time, and the camera will stream you the playback, including audio. This has huge implications for "he hit me first" in my house. All in all, I'm pretty happy. 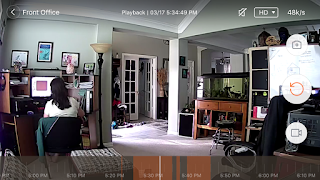 The advantages the cam: easy setup, easy video capture, and field of view definitely outweigh the negatives of no rotation and being locked into a special app. I'll give these a go for a couple months, then maybe pickup a couple more. ... and I've tried EVERYTHING! 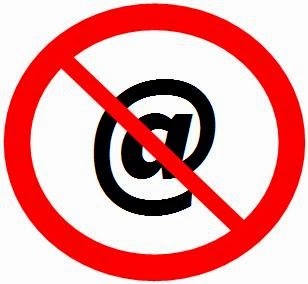 Using a desktop email client with Gmail should be fairly straight forward; generally it is. But sometimes it's the devil. I, like many people, can't stomach the high cost of Apple branded cables. 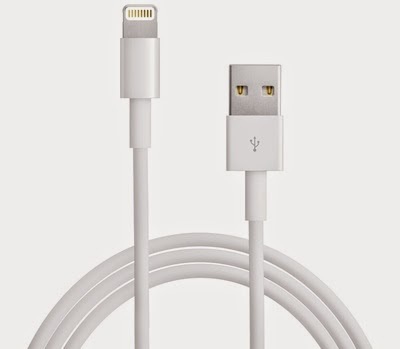 While the quality is usually better than most; I just can't justify $18 for a 3 foot (1m) USB-Lightning cable. This doesn't fall under Dad, Geek, or Gamer really. Just my crazy dog being himself. A couple of months back my employer sent out emails detailing a health and wellness sort of program/competition they were setting up. I got through maybe the subject line then filed it in the trash. I missed the part about the free gadget. 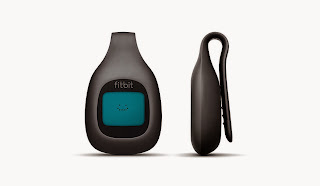 Once my coworkers asked if I had signed up since they'd be giving us free Fitbit Zips, I suddenly became interested. "No thanks, I don't need another gadget" - said no geek ever. In case you haven't heard, the makers of the World of Warcraft, Blizzard Entertainment, have been working on a software based trading card game (TCG) called Hearthstone. 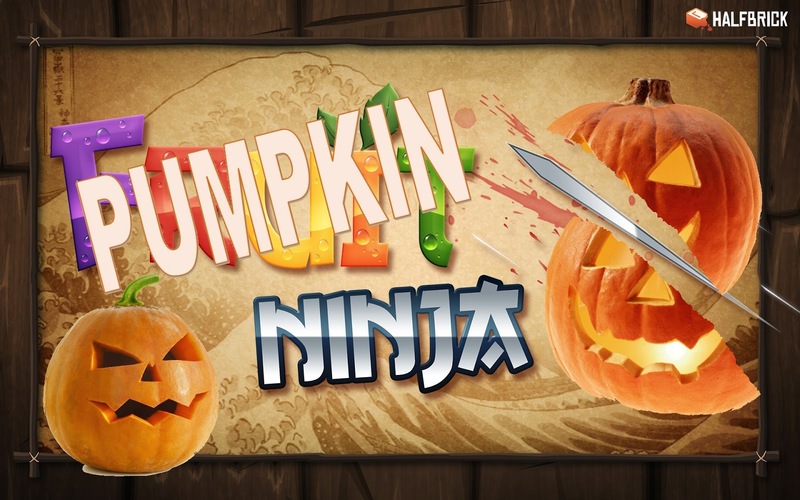 It's very similar to most other TCGs like Magic the Gathering, etc. 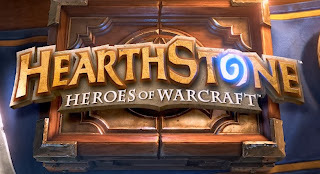 Except that it's all virtual, and based on the characters, classes, spells, and other IP from the World of Warcraft. Thus assuring that I'll spend way too much time playing it.